About 90 million Americans suffer from a snoring activity during sleep. And while about half of these people are “simple snorers” or primary snorers, the other half might actually have a serious sleep disorder called obstructive sleep apnea (OSA). Many people often misdiagnose themselves and inaccurately describe their condition. As a result, they miss out on important treatment and care. While OSA almost always leads to loud and frequent snoring, that does not mean if you snore you have OSA. Understanding the differences between sleep apnea, snoring and quality sleep is important to better understand your condition. To help you we have created this infographic that looks at the differences between sleep apnea and quality sleep. Take a look. 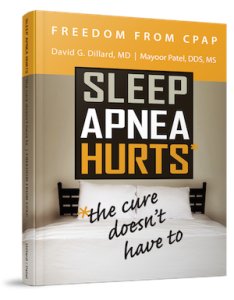 As always, please contact us at Craniofacial Pain & Dental Sleep Center of Georgia to learn more about sleep apnea and the steps you can take to improving your overall well and well-being. Remember the benefits of quality sleep and how it can improve your health–it makes all the difference.